Since it’s All Hallows’ Eve on Friday, my regular features this week are going to be vaguely horrific. Make that marginally horrific. 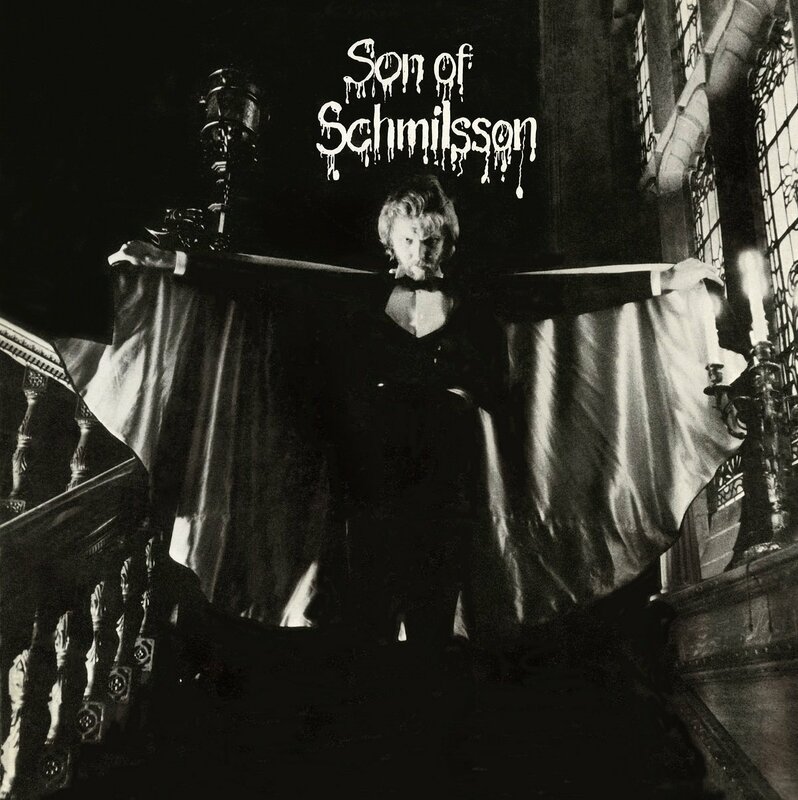 Harry Nilsson was on top of the world when he recorded Son Of Schmilsson. 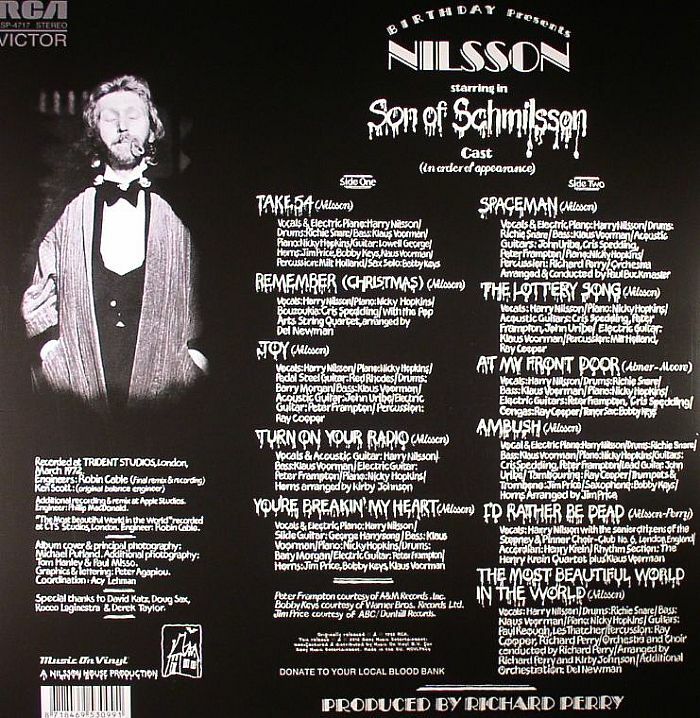 Its predecessor, Nilsson Schmilsson, was the biggest hit of his career. RCA hoped that Harry would stick to the formula. He did not. He delivered an album that was every bit as artistically successful but it lacked an obvious smash hit single such as Without You. Instead, it was 39 minutes of whimsy and quirkiness. I like it more than Nilsson Schmilsson, but the public did not even though it peaked at #12. Wasn’t this a tie-in to the little-seen and incomprehensible Son of Dracula movie Nilsson did with Ringo? I know there was also a soundtrack album that lived in the cut-out section for most of the 1970s; it had Without You and Jump into the Fire on it as I recollect. We had it on 8-track tape, if that dates it appropriately for you.